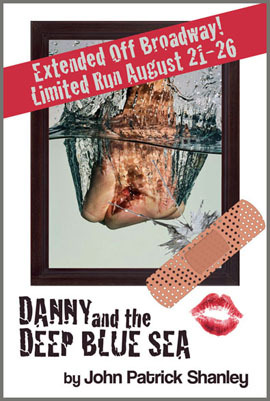 • I'm in the midst of rehearsals for 2 shows which are being performed in rep , on the same evening: Harold Pinter's "The Lover" and John Patrick Shanley's "Danny and the Deep Blue Sea." Tickets are only $20 for both shows (or $12 for each.) It would mean a lot for me if you saw both - click here for tickets. In other news, I posted some photos & reviews from our previous show, Three Sisters, which closed March 25. • Peace Aqua has been accepted to the Long Island International Film Expo and has already been awarded Best Art Direction and Best Cinematography. The screening is July 18 at 2:30pm. • I'm prepping to star in the feature film, Truth in Advertising, in the fall. And, lucky me, I get to star opposite my real-life true love, Brandon Walker. • I've been brought on as Executive Producer for City Kid Film's Deal Travis In. Click here for more details on the project. • I've been interviewed for 3 different podcasts and 4 blogs about my work as a self producing artist! Click on the below show titles for more! In other news, my musical theater collective, ACTOR-OWN, is still going strong. Most recently, we've done private readings of the musicals, THE MOST HAPPY FELLA (Rosabella), CABARET (Sally Bowles), THE LIGHT IN THE PIAZZA (Clara) and LEGALLY BLONDE (Elle Woods.) ACTOR-OWN certainly allows me to stretch my skills and develop strong connections to characters I'm destined to play. Visit my Demos page to hear vocal clips, along with some other live tracks. I also have more clips from film, TV and cabaret. 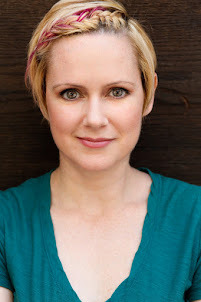 As always, you can check out my acting blog: The Erin Cronicals, for stories and adventures about my time as an actor here in New York City. You can also check out my coaching blog: Bite-Size Business for Actors, which has a bunch of tips & hints about how to go about building an acting career. Finally, you can check out the other blogs where I'm a contributing writer: The Seeing Place: Our Craft, Our Process, which is about the art & craft of acting, and PLAYBILLS VS PAYING BILLS, which is more business-driven. And you can check out my Demos page to see some fun clips and videos from the stage & screen. Erin :) Have a comment or question? Leave it by clicking below!